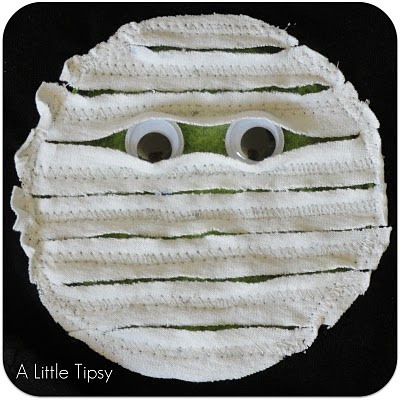 This cute Halloween Mummy Shirt from A LIttle Tipsy made me realize I haven't shared any fun DIY Halloween shirts with you yet. 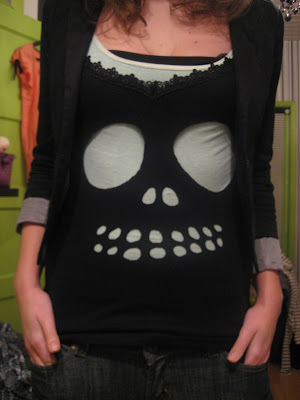 Well, except for the DIY skeleton shirt, but that was way back in August, so that doesn't count. 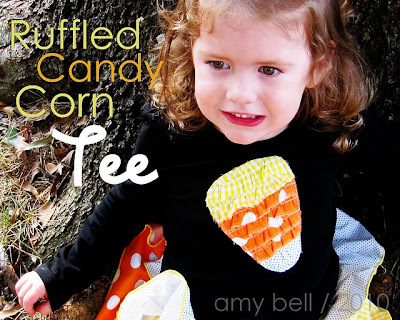 Last year I loved the ruffled candy corn shirt from Positively Splendid. 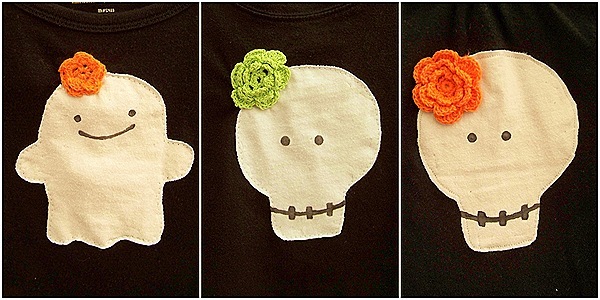 Three years ago, Char from Crap I've Made made these super cute tie dye jack-o-lantern shirts. This skeleton shirt was from the Gap, also not this year, but it would be easy to replicate. 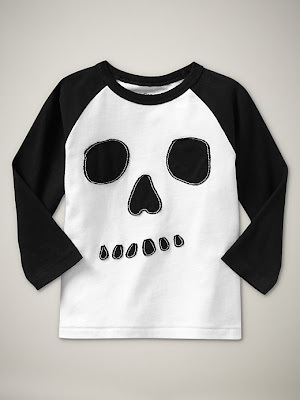 This is a great one for boys to wear. Fun, but not gruesome. And Choose to Thrive created these cute applique skeleton and ghost shirts that are perfect for girls. I know there are more out there and I will keep my eye out for them. Thanks for the shout out for my mummy shirt! Loe the Gap and Candy Corn shirts as well!